Encino Dog Bite Injury Attorney – Over Forty Years of Experience You Can Trust Were You or a Loved One Injured in a Dog Bite or Dog Attack Incident in Encino? 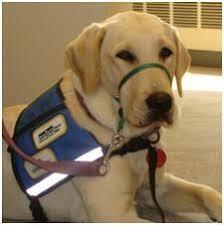 Service/Assistance dogs are specially trained to assist a person with a disability or specific needs. They are protected by law and are defined by the Americans With Disabilities Act (ADA) as “Dogs that are individually trained to do work or perform tasks for people with disabilities”. 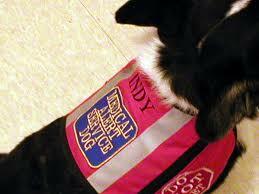 Many service animals wear special vests or harnesses, but special identification is not required. Service dogs should not be petted, called to, or otherwise distracted while at work. Many patches and ribbons are displayed by dog owners who have dogs that should not be approached by strangers. 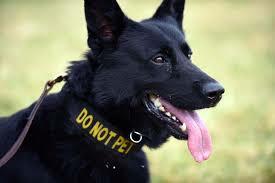 These include patches that read “Do Not Pet”, “Nervous”, and “Working Dog”, as well as yellow ribbons to indicate that their dog needs space. Yellow ribbons are from the Yellow Dog Project, and do not indicate that a dog is dangerous, just that it needs to have its space respected. Many dogs do not enjoy being petted or approached and will indicate this by turning away or ignoring the person approaching. Not paying attention to these signs from the dog may lead to the dog turning aggressive out of fear. It’s inaccurate to judge a dog by breed. Better predictors of aggressive behavior problems are a dog’s individual temperament and interactions with people and animals. The dog bite and dog attack injury attorneys at Walch Law are here for you. We offer compassionate, determined legal help to victims of dog bites and attacks in Encino and surrounding areas of Van Nuys, Sherman Oaks, Studio City and all of Los Angeles. We have over 40 years handling dog bite claims and have resolved individual cases for hundreds of thousands of dollars. Please call us now at 866 INURY 2 or click here to contact us now for your absolutely FREE consultation and case evaluation. Encino is in Los Angeles City and County, CA, in the southern part of the San Fernando Valley. Sitting on the north slope of the Santa Monica Mountains, Encino is surrounded by Brentwood, Bel-Air and Tarzana. The population in 2000 was about 41,905. Encino is the shortened name given to the area by Fray Juan Crespi, a Franciscan missionary traveling with the Portola Expedition. In 1769, he named it ‘Ell Valle de Santa Catalina de Bononia de Los Encinos’, or The Valley of Saint Catherine of Bononia of the Oaks’. All but the last word were later dropped. Residents and visitors are welcome to tour the Los Encinos State Historic Park. This park is the site of a former native village where the Portola Expedition camped and is now the site of the original De La Ossa Adobe, the Garnier Building, and a blacksmithing shop. Natural features include a pond and a natural spring. The Sepulveda Dam Recreation Area is the home of the Woodley Worel/Magnus Cricket Complex, featuring the four (4) top grass cricket pitches within the United States. It also houses the Encino and Balboa Golf Courses. Balboa Park boasts a Japanese garden, a small lake with paddleboating and fishing, and a large park with picnic facilities. Excellent schools are found in Encino. These include Crespi Carmelite High School, an all-boys Catholic high school, Our Lady Of Grace Elementary School, Hesby Oaks Leadership Charter School, Lanai Road Elementary School, International School of Los Angeles, Valley Beth Shalom (VBS) Day School, and many others. Dog bite and dog attack injury victims in Encino may suffer severe debilitating injuries, including lacerations, puncture wounds, nerve damage, amputation secondary infections, and permanent scarring. Sometimes severe nerve injuries may occur causing Complex Regional Pain Syndrome (CRPS). Severe emotional and psychological distress may cause lasting disorders, such as PTSD and phobias. Necessary treatment by healthcare and mental healthcare professionals including visits to medical specialists such as plastic surgeons, neurologists and pain management doctors is critical to recovery. Many secondary injuries can arise when a victim is struck by a large vicious dog, like a pit bull or German Sheppard, and knocked to the ground during an attack. Broken bones, sprains, abrasions, head injuries, and muscle/ligament tears and strains are all likely, including tears to ligaments in the knee or shoulder. Orthopedic care, physical therapy, and specialist care such as visits to chiropractors may be required. Unfortunately, these attacks or complications arising from sustained injuries may cause permanent injuries and scarring and sometimes may even lead to death. This leads to wrongful death claims and lawsuits filed by lawyers for the grieving families. 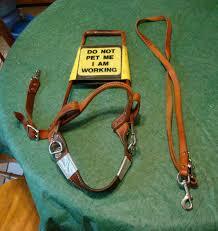 Dog owners and handlers must know how to properly restrain and control all dogs they have responsibility over. Anyone who owns or cares for dogs must be properly trained, and dogs should go through training as well, whether at home or in Obedience Schools. Proper training helps to keep wildlife, domestic animals, and people safe. Dogs encouraged to act territorial for ‘status’. While many dogs and their owners are friendly, some are not. It is always the best policy first to ask an owner if their dog is safe to pet. Some dogs may be afraid of strangers or protective of their owner. Many dogs are working dogs, specially trained and acting as support and care for their owner. Typically, you may see a harness, leash or collar explaining that they are working, in service or otherwise unapproachable. Even if you don’t see such a display, its wise to always first ask permission before you pet. The common courtesy of asking permission and introducing yourself is an excellent way to stay safe and meet new people and dogs. You keep yourself from being injured and protect the owner and their dog from legal troubles. Friendships may even arise! Common serious injuries suffered by dog attack or bite victims are nerve damage, scarring and, sometimes, even numbness and paralysis. These injuries are life-altering, may create permanent disabilities and require reparative and cosmetic surgeries as well as physical therapy and rehabilitation. Injuries from dog attacks contribute to physical, emotional and psychological pain and turmoil. If you or anyone you know have suffered these or other injuries from a dog bite or dog attack in Encino, the Los Angeles area, or anywhere within the state of California, contact us now, and let us assist you. We provide referrals to doctors, including specialists, who often may provide care without payment until your case is resolved. Our consultation is absolutely FREE and if we take your case we shall do it on a contingency fee basis, which means there is NO fee until we WIN! The lawyers and law offices of Gary K. Walch, ALC, are here to protect and pursue your rights while representing your best interests. We provide you with the dedicated advocacy and experienced counsel you need when you or a loved one has suffered a dog bite or other injury. We offer compassion and understanding, and make this process easier on you and your family. Our strong team of lawyers handle dog bite and attacks, car, truck and other vehicular accidents, uninsured motorist (UM) claims, and much more. We always strive to provide the best possible customer service; and should ever have any problem just let us know so we may help solve it! You may call, email or contact our law offices now for an absolutely free legal consultation from an experienced dog bite/dog attack injury attorney or any member of our dedicated legal team.